In August 2012, Colombian president Juan Manuel Santos announced that his government had reached an agreement with the Revolutionary Armed Forces of Colombia (FARC) to begin substantive negotiations to end the longstanding armed conflict between these two parties. Talks would proceed on the basis of a pre-arranged agenda covering six overarching points. 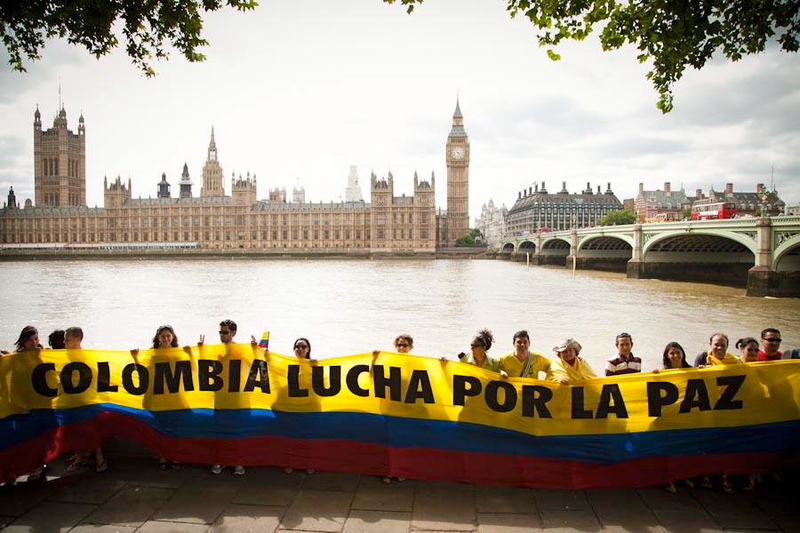 [i] On learning of this agreement, a small group of Colombians and ‘friends of Colombia’ met in London with a view to showing support for the talks in whatever ways might seem appropriate, and keeping them in the public eye in the UK. This outfit became known as Rodeemos el Diálogo or ReD by its initials in Spanish. [ii] Since the start of 2014, an identifiable core group has established itself in Bogotá. ReD operates on the basis of two fundamental principles: that it seeks to support the principle of the negotiations without taking a position on specific agreements or other political developments in Colombia; and is a politically-neutral, non-partisan initiative. At the time of writing, the parties have reached agreement on the first two agenda items: rural affairs and political participation, and appear close to an understanding on the question of illicit drugs. 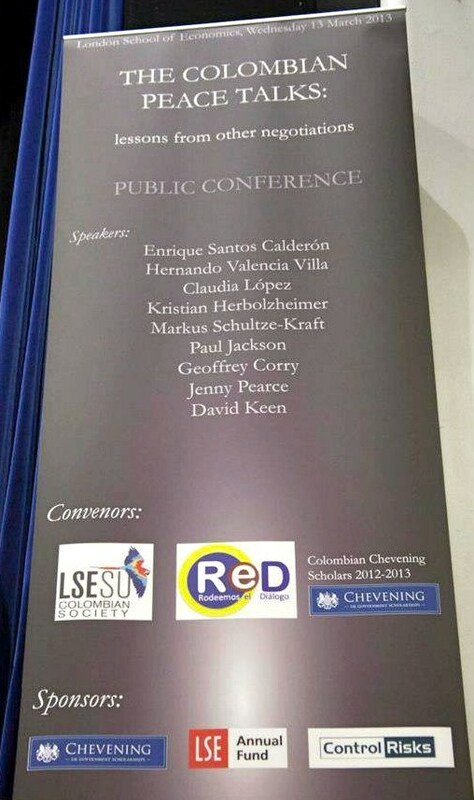 ReD has to date organised or contributed to the organisation of: an academic conference at the London School of Economics (LSE) on lessons from previous Colombian and international peace processes; the London edition of the ‘European Round-Tables for Peace’ involving the expatriate community in the presence of five Colombian senators; the appearance in London of the ‘Itinerant Flag for Peace’; a series of six conversations at Canning House with an invited guest to analyse the progress of the negotiations; the ‘Week for Peace’ in the Colombian municipality of Chía; a semi-structured social event (which we called a Querméz) capitalising on the visit to London of two leaders from the Peace Community of San José de Apartadó; four breakfast meetings in Bogotá; and has sent letters to President Santos, Pope Francis and former-President Álvaro Uribe, the latter receiving coverage in the Colombian daily El Espectador. In addition, we have presented papers about ReD’s activities at academic and non-academic conferences interested in the peace talks in Sussex and in Derry/Londonderry. Further activities are planned for the remainder of 2014 and beyond. In this article I analyse ReD’s successes from a peacebuilding perspective. I understand peacebuilding in an expansive sense, encompassing a cultural dimension tending towards the construction of a positive peace; as well as admitting an interpersonal element. In addition to demonstrating that ReD has indeed found suitable ways to manifest support for the talks, I will show that the initiative has strengthened the social fabric of the Colombian diaspora, as well as having created new cultures of dialogue amongst this population. Ultimately, these efforts at peacebuilding represent an emancipatory contribution to the deepening of Colombian democracy. ReD did not set out with a pre-determined plan of action; its activities have emerged organically. One of our founding members remarked early on that it was unusual for a civil society movement to embrace the dialogues in this way, as this was a task normally reserved for international diplomacy. Initial ideas were, nevertheless, modest. We set up a blog on which to post informed articles discussing the negotiations, and encouraged people to write opinion pieces. The blog continues today, having also become a record of our own initiatives, and has been visited by people from countries on all continents, albeit with a concentration of ‘hits’ from the UK and Colombia. ReD’s first major outing as a coherent, identifiable unit came at the conference at the LSE in March 2013, where we invited high-profile commentators, scholars and practitioners to analyse the current peace talks in the light of previous attempts at peacemaking in Colombia and around the world. In excess of 350 people attended and feedback from the event indicated that it had been positively received. An output from the conference was a policy briefing which was sent to the negotiating teams in Havana and which we later learned had been included on the obligatory reading list for MA students following a module on transitional justice at Oxford University’s Latin American Studies centre. The conference laid the ground for future activities. One of our speakers, Kristian Herbolzheimer, director of the Colombia Programme at Conciliation Resources, invited ReD onto the organising committee for the London chapter of the European Round-Tables for Peace, which sought to elicit proposals from the expatriate community for the negotiators. We put someone forward to work in representation of ReD during the preparatory phase, and other members played significant roles on the day. This event led in turn to the realisation that Colombians in the UK found it difficult to keep abreast of events in Havana; a series of monthly conversatorios (conversations) materialised featuring invited guests who would offer a commentary of the previous month’s developments, followed by open debate amongst the audience. The conversatorios took place at Canning House, one of our partners for this venture together with British Academics for a Colombia Under Peace (BACUP) and Plataforma. In this context of restricted social capital, ReD has had some success in bridging divides. Due perhaps to the inquiring nature of our activities, and that a significant number of the early core group were postgraduate or postdoctoral researchers, we have readily attracted students and academics to our events. The passage of time, and the broadening of individual networks, has also enabled us to reach out to young Colombian professionals, who may not have previously been involved to any significant extent in the associational – especially the political – life of the diaspora. This encompasses left-leaning pressure groups, apolitical humanitarian charities, the entrepreneurial sector and alumni associations, as well as a small number of cultural and sporting alliances. It may well be the case that the young professionals in particular – educated, concerned for the future of their country but lacking a desire to be drawn into the potentially fractious political arena – have found in ReD and its guiding principles a vehicle to exercise their sense of citizenship and politics ‘with a small (p)’. Adriana Arias, a participant at our events and now a more active member of the core group, considers the work undertaken by ReD at the grass-roots level to have been an “essential step” in bringing together Colombians and ‘friends of Colombia’. A second way in which ReD has contributed to strengthening the social fabric has been the methodology of working in partnership with other organisations. It is inherently not possible for ReD to take full credit for this, a) because it speaks equally to the other organisations’ commitment to any given project and b) since our partnership-building has been as much (if not more) a product of opportunity as of strategy. Nevertheless, the collaborations have encompassed working with diverse outfits ranging from human rights NGO’s (ABColombia, Justice for Colombia, Peace Brigades International), bodies on the highly-politicised Colombian left (Mesa Permanente por la Paz), student and academic associations (LSE Colombian Society, Colombian Chevening Scholars, BACUP), cultural centres (Canning House) and other groupings wishing to support the negotiations (Bandera Itinerante por la Paz, Conciliation Resources) or, more broadly, peacebuilding and reconciliation in Colombia (Plataforma, Plan Perdón, Red de Iniciativas Ciudadanas por la paz y la convivencia-Chía). We have also developed cordial relations with the Embassy of Colombia to the UK, while remaining wholly rooted in civil society. To have constructed such a range of links in a relatively short period of time, in the context described at the outset of this section, is almost certainly a singular achievement, and has enabled us to capitalise on individual groups’ strengths in pursuit of the common good. Dr. Jenny Pearce – a Colombia specialist who has contributed to ReD’s events – of the University of Bradford’s Division of Peace Studies has affirmed the reach of our activities: “ReD has facilitated the exercise of dialogue and discussions across differences […] which impact on the diasporic community itself.” This bears greater significance in the context of Colombian political debate, which has long been highly polarised, frequently manifesting discordant political and social positions. [vii] It reached an apogee under former-President Uribe, who “never lost an opportunity to harangue and undermine those working on human rights, often accusing them of complicity with terrorism.”[viii] Mr Uribe is at the vanguard of opposition to the Havana negotiations. This spirit was behind the message we sent, in collaboration Plan Perdón, to former-President Uribe in November 2013, when he was invited to speak at an event in London. Conscious of his stance vis-à-vis the negotiations, and also aware of protests scheduled to coincide with his speech, ReD instead opted to send him an open letter challenging his position while remaining respectful of his human dignity and continued influence as a public figure (indeed, in March 2014 Mr Uribe was elected senator for a period of four years). In effect, we sought to set an example of how Colombians might re-envisage political debate, as well as walking back some of the excesses of the polarisation for which he was partly responsible. We succeeded in having the letter published in El Espectador as soon as we knew that Mr Uribe had received his personal copy. Thus ReD sought to make the same point to Colombian society, in addition to backing the peace talks in a public fashion. Partly as a result of that letter, ReD has been finding its voice and growing in confidence to express itself in public. The following month we reached out to Pope Francis in an exercise which brought together a spectrum of people from within ReD, ranging from practicing Catholics to committed atheists. The outcome – an appeal to the Argentinian pontiff to make a public expression of support for the peace talks during the pre-Christmas Novena – was the product of lively internal discussion about the right pitch and tone for such an approach. Our letter reconciled respect for the office of the papacy while addressing Pope Francis in a warm, personalised and human way. This open culture of dialogue has clearly proven attractive to some people, who have approached us to become more actively involved in ReD’s work. This is enriching for our core group and has broadened our horizons, while reinforcing our method of connecting people in a flexible way. In contrast to the prevailing division in Colombian society, then, these are the characteristics of the culture of dialogue which ReD has managed to create: a willingness to challenge entrenched, polarising positions, yet with openness, respect, direct engagement with and at the level of the individual, human warmth, and in an ultimately conciliatory fashion. ReD has ideas for a number of specific future projects, but we also face some cross-cutting challenges. While we had success in attracting a large number of people to our conference at the LSE, and although we have sought more intimate spaces for certain other events, we need to continue reaching out to people. In part this means engaging, broadly speaking, with the political right and the business community, whom we have not felt to have had a strong presence at our events. But it is also critical to further our impact in Colombia itself, as well as developing truly transnational links between the UK and Colombia, between the diaspora and home. This is particularly acute in view of presidential elections which take place within a matter of weeks, not to mention the massive task of putting flesh on the bones of any final agreement between the parties. Meanwhile, the latest manifestation of Colombia’s polarisation is evidenced through the range of positions adopted by the presidential candidates on the future of the negotiations themselves. Some of this division has felt quite close to home, as the reactions to our letter to Mr Uribe revealed. An interesting element of the process for us was when a third organisation, also supportive of the Havana dialogues, declined to be a signatory on the basis that they did not feel it sufficiently took him to task over controversial elements of his presidency and broader political career. Meanwhile, when published in the press, the letter generated retorts which revealed the level of suspicion amongst respondents at the notion of reaching a negotiated solution, or indeed towards the proponents of such a resolution. There is clearly much work to be done in overcoming, even partially, the fault lines in Colombia. As outlined above, ReD has moved beyond simply demonstrating support for the peace talks in Havana, to have become a relatively significant player with a degree of recognition, some capacity for mobilisation and leadership potential amongst the Colombian expatriate community in the UK, above all in London. Through our activities we have been able to enhance the social capital of the diaspora and propose new ways for Colombians to engage with each other. Something similar appears to be happening in Bogotá. In turn, this can be viewed as an emancipatory deepening of Colombian democracy: whether those interested in the peace talks grasp the opportunity to learn more about the negotiations themselves; or through bringing together Colombians whose paths would perhaps not readily cross under other circumstances; or, as Jenny Pearce suggests, through forging new channels for dialogue and consequently the exercise of citizenship, ReD offers an opportunity for Colombians to empower themselves and take forward the mission of building a just and lasting peace, even while the negotiators remain at the table. Peter is a founding member of Rodeemos el Diálogo, having previously lived in Colombia for two years working as an international accompanier with the Fellowship of Reconciliation in the Peace Community of San José de Apartadó and in Bogotá. This article is written in a personal capacity for Peace Practitioners and not on behalf of ReD. With thanks to Adriana Arias, Rob Capurro and Dr Jenny Pearce for their thoughts on ReD’s achievements to date, to Dr Andrei Gómez-Suárez for proofreading the article and to Carolina Figueroa for permission to use her photos. [i] The agreed agenda items are rural affairs, political participation, ending the armed conflict, illicit drugs, victims of the conflict and the procedure for implementing the final agreements. [ii] Rodeemos el Diálogo literally means ‘Let’s rally around the dialogue’. In Colombian Spanish, it also carries the metaphorical meaning of supporting an important cause through good times and bad. The initials ReD form a pun with the Spanish work for ‘network’. [iii] Bérubé, M., Colombia: In the Crossfire (Migration Information Source, Washington D.C., 2005). Available online at http://www.migrationinformation.org/Profiles/display.cfm?ID=344; accessed 19/1/14. [iv] McIlwaine, C., The Colombian Community in London (Queen Mary University, London, 2012), p.32. Available online at http://www.geog.qmul.ac.uk/docs/research/latinamerican/64093.pdf; accessed 19/1/14. [v] Bermúdez Torres, A., Refugee Populations in the UK: Colombians (ICAR, London, 2003), p.41. Available online at http://www.icar.org.uk/navgdcolombians.pdf; accessed 19/1/14. [vi] This works both ways: the Peace Community frequently directs its message at the international community, bypassing Colombian society altogether. [vii] Zambrano, L. and Gómez Isa, F., Participation of civil society in the Colombian Peace Process (NOREF, Oslo, 2013), p.1. Available online at http://reliefweb.int/sites/reliefweb.int/files/resources/colombia%20peacebuilding.pdf; accessed 25/1/14. [viii] Glennie, J., ‘Colombia’s president is demonstrating his political nous’ in The Guardian (13 August 2012). Available online at http://www.theguardian.com/global-development/poverty-matters/2012/aug/13/two-years-president-colombia-political-nous; accessed 25/1/14. I’ve been walking, sometimes stumbling, through the labyrinth known as the world of peacebuilding since 1996. Having finished university that summer, I began an ongoing and deeply rewarding connection with The Corrymeela Community in Northern Ireland. It is where I learned my trade. A few years ago I explored with them the possibility of a project about gathering the anecdotal wisdom that people involved with its work had accumulated over the years. It was not that it wasn’t being shared, but that it wasn’t being collected systematically. There’s an African saying that states “When an old man dies, a library burns down”. That’s how I felt about so much of the unwritten wisdom floating around in spoken stories and reflections about why a riot didn’t happen, the moment two former enemies met, mistakes made and lessons learned. Sadly that project never got off the ground, but my desire to help gather the wisdom of people working to help cultivate a more peaceful world has not diminished. As Joseph Campbell says, the labyrinth is thoroughly known. As I stand looking at two potential paths, someone somewhere, has been in my position before. They could advise me on which way to turn, what to expect along that path and the reasons why it might be wise to turn left and not right. Much can be gained from acknowledged mistakes but a map giving some tips and advice would at times be very helpful. When I reflect on the past 17 years, I have not written enough. I wish I’d been more systematic about journaling or putting down on paper reflections about the work I was doing. I’d love to be able to read through those thoughts, to chart the journey I’ve taken over the years and for them to offer insights into how I’ve arrived at how I view things now. I could have started blogging over a decade ago but I didn’t. The list of ‘could haves’ is embarrassingly long. I first voiced the idea of Peace Practitioners in December 2012. Assorted things distracted me and nothing concrete developed. My desire to learn from others and belief that not enough spaces exist through which ideas can be shared is as strong now as it has ever been. That’s why I’m writing this today. Over the past 17 years I’ve been grateful to meet thousands of inspiring people working on issues relating to peace, conflict and development. From those conversations, I know that I’m not alone in either my desire to write and reflect more, or the challenges faced in turning desire into action. This is why I’ve created Peace Practitioners. This space aims to fill the gap that exists for peace practitioners who wish to explore their work through the written word, but who do not have the time, capacity or desire to jump through the hoops required for publication in an academic journal. It aims to encourage practitioners to reflect on their work, explore lessons learned, share emerging ideas and to help build connections and relationships among those working towards building peace. Many practitioners write blogs or share ideas and reflections among colleagues. However, these tend to be in ‘silos’ based on geography or theme. The common denominator throughout all our work is human relationships and dynamics. Peace Practitioners aims to create a broad platform that helps identify and establish links between seemingly disconnected groups or areas of focus. We all have a great deal to share. So much of that lies in the stories and examples we gather through our everyday interactions with the people and communities we work with. Peace Practitioners is a place in which these stories, case studies and reflections can reach others. Your stories and the learning points that those stories and examples illustrate about peace work are valuable and need to be shared. All of us have grounded, practical wisdom that might be relevant to someone else. All of us could probably benefit from writing down our ongoing reflections and insights on a more regular basis. All of us have experiences and ideas whose messages speak to issues that impact everyone. All of us have libraries in our heads that have been closed for too long. It’s time to brush the dust off those books. 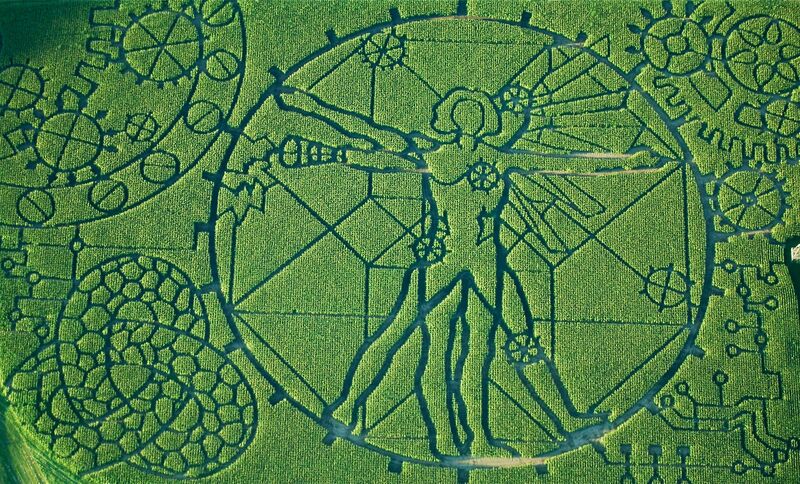 There’s a labyrinth out there that needs to be mapped. It’s time to start writing. Michael Fryer has been working on issues related to peace and conflict since 1996. He is from the UK but lives in San Diego. He has spent most of the past decade designing and delivering training workshops as well as lecturing. He is the founder of Peace Practitioners and also one of the co-founders of The SongStream Project, a non-profit organisation that explores social issues through the lens of music and memory.